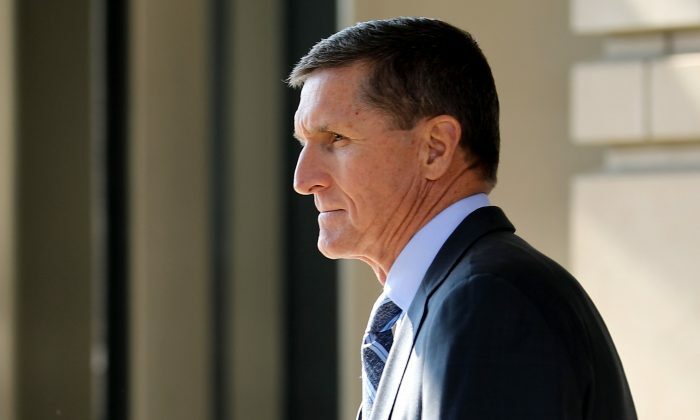 President Donald Trump was led to believe his newly appointed national security adviser, Lt. Gen. Michael Flynn, was not under investigation when he fired him last year, according to legal memos sent by Trump’s lawyers to special counsel Robert Mueller. But however the conversation went, the memos make clear Trump was given very different information about Flynn’s situation than Comey. The confidential memos were leaked to The New York Times, which published them on June 2. The memos provide some details that had not previously been released. Trump accepted Flynn’s resignation on Feb. 13, 2017, after then-Acting Attorney General Sally Yates informed White House counsel Don McGahn that Flynn misled Vice President Mike Pence about the content of his calls with Russian Ambassador to the United States Sergey Kislyak. In late 2016 and early 2017, as part of Flynn’s transition work, he was asked to talk to foreign diplomats to lay some groundwork for future relations, including three calls with Kislyak. 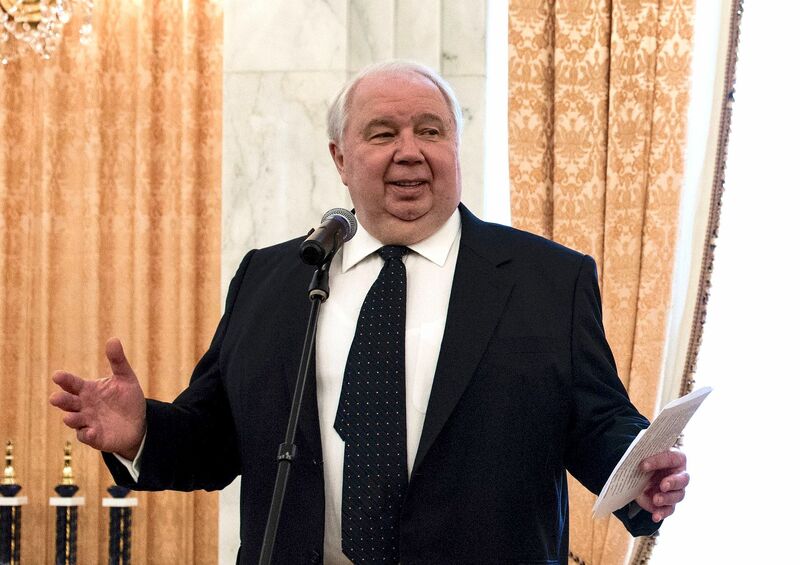 U.S. intelligence agencies intercepted the calls, officially as part of routine spying on Kislyak, and at least some parts were leaked to the media. One such revelation was that on Dec. 29, 2016, Kislyak and Flynn had discussed sanctions imposed on some Russian individuals and entities by then-President Barack Obama. In response to the leak, Flynn was questioned by some administration officials and, apparently, didn’t portray the conversations accurately. That led to Pence going on record as saying that Flynn didn’t discuss the sanctions. Court documents later revealed that Flynn asked Kislyak not to escalate the situation further after the sanctions were imposed. On Jan. 24, 2017, only four days after Trump’s inauguration, two FBI agents, one of whom was special agent Joe Pientka, visited Flynn at the White House and asked to speak with him. “Agents saw no change in [Flynn’s] demeanor or tone that would say he was being untruthful,” according to notes taken by the Senate judiciary committee, which questioned Comey about the Flynn interview in March last year. Comey then denied making the statement. On Jan. 26, 2017, Yates came to McGahn saying “that Flynn may have made false representations to others in the administration regarding the content of the calls”; “that Flynn’s potentially false statements could make him susceptible to foreign influence or blackmail because the Russians would know he had lied”; and “that Flynn’s statements to the FBI were similar to those she understood he had made to [then-White House press secretary Sean] Spicer and the vice president,” according to McGahn’s memo dated Feb. 15, 2017, quoted in the leaked legal memos. McGahn briefed Trump and some other officials the same day, but they didn’t have enough information about what was actually going on at the Department of Justice regarding Flynn. They decided to first get more information before acting on the information. 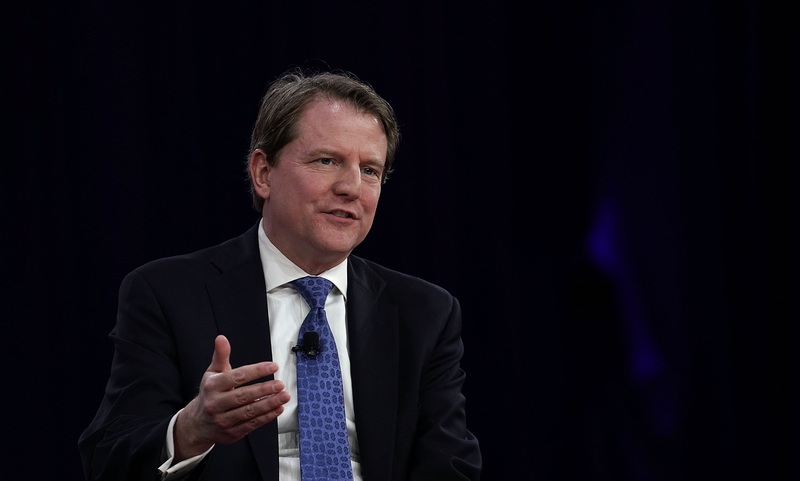 “Part of this concern was a recognition by McGahn that it was unclear from the meeting with Yates whether an action could be taken without jeopardizing an ongoing investigation,” McGahn wrote. McGahn asked for another meeting with Yates, and they met the next day. On Feb. 8, 2017, as McGahn, then-Chief of Staff Reince Priebus, and others grilled Flynn about the calls, Flynn said “he either was not sure whether he discussed sanctions, or did not remember doing so,” McGahn wrote. Later that day, McGahn and Priebus concluded that Flynn needed to go and recommended so to Trump. The following Monday, Trump accepted Flynn’s resignation. Comey testified that the next day, Trump asked to speak with him alone. Comey was keenly aware of Flynn’s situation. “General Flynn at that point in time was in legal jeopardy. 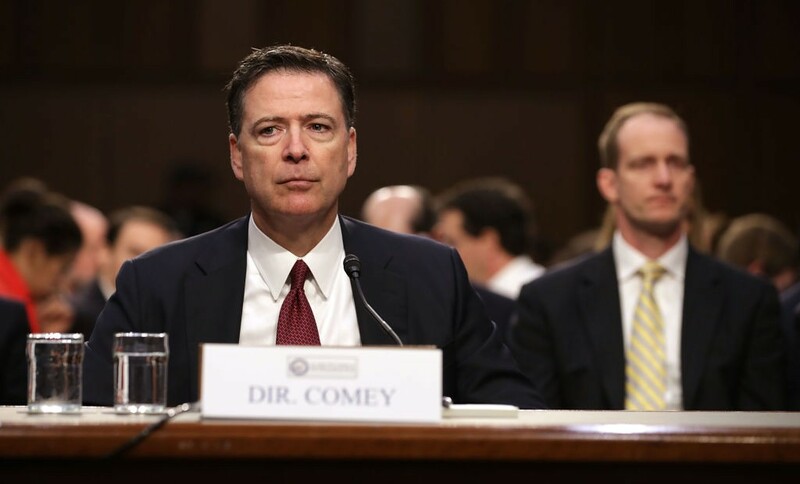 There was an open FBI criminal investigation of his statements in connection with the Russian contacts, and the contacts themselves, and so that was my assessment at the time,” Comey testified before the Senate intelligence committee on June 8, 2017. But based on what Trump knew at the time, Flynn’s case was already over. The DOJ wouldn’t say if Flynn was investigated or not, but, according to Flynn, the FBI closed the case. He was even allowed to keep his security clearance. “For all intents, purposes, and appearances, the FBI had accepted Flynn’s account; concluded that he was confused but truthful; decided not to investigate him further; and let him retain his clearance,” one of the legal memos states. It was then that Trump allegedly asked Comey to “let it go,” which Trump denies. In any case, Comey said he didn’t let it go. It was Trump who did. Neither the president nor anybody from the White House ever brought up the issue again with Comey, the memo states. On Nov. 30, 2017, Flynn pleaded guilty to one count of lying to the FBI. Mueller’s team has requested to delay Flynn’s sentencing several times. In February, the judge in the case demanded that the prosecutors produce all exculpatory evidence.